Help in Buying and Selling real estate in San Diego. Free advice and services for finding and buying real estate. Free to you, effective, multi-channel marketing and qualified professional help when selling your home. Latest and unique technologies in the field of Real Estate Marketing. You get help of two realtors, we work fast and always available for you!!! If you are ready to sell or buy a property now or plan in the future, we will help you to find a good home and we have a wealth of interesting and timely information about the real estate market in San Diego county. Looking forward helping you, your family, colleagues and friends! Contact Chris and Kate if you have any real estate needs. Chris has lived in Coronado since 1969 and graduated from Coronado High School in 1985. Chris graduated Southern Oregon State College. When it comes to Coronado and the beach communities of San Diego, Chris has the inside track. He is versed in helping both buyers and sellers get the most from every transaction. Chris believes in educating and empowering his clients so they can feel confident with their sale or purchase, whether they're seasoned real estate investors or first time home buyers. Chris is also a Certified Negotiation Expert when it comes time to make the deal happen. Specialties: Certified Negotiation Expert, Residential Real Estate, Ecobroker. 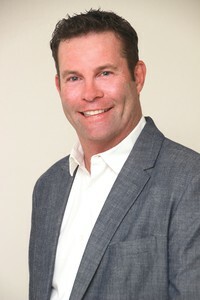 Member of San Diego Association of Realtors. ​Always available 24/7 for clients. Kate is from Moscow, graduated Russian State University for the Humanity with a Master's degree: translator, English and French and State University of Management with a Master degree: Management of company. Started working in real Estate when came to US. Her husband Chris Toogood is a Broker owner. They live in Coronado. Shadowing Chris, Kate developed a love for real estate and its day-to-day challenges. She enjoys meeting new people, understands their needs, and loves helping them make and manage the biggest investment of their lives. Whether you are selling your home or buying she will work hard to help you get the best value. She is always available, knowledgeable, responsive, active! Her clients get her enthusiasm and hard work. She is honest and trustful person and will do her best to help you to find your happy place or to sell your house. Contact Kate if you have any real estate needs. She is looking forward helping you, your family and friends. 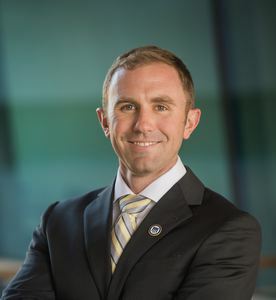 Thad Siwinski has lived in San Diego since 2010 and proudly served as a U.S. Navy SEAL for 8 years. During that time, he has been an active real estate investor in Imperial Beach. ​Thad knows what it feels like to be a first-time home buyer and has now become a seasoned real estate investor. He knows what to consider when evaluating an investment property. ​Thad graduated in 2017 with an MBA from the University of Maryland, College Park where he studied negotiations, finance, and marketing. He knows how to evaluate a deal and if it makes sense, close it.